This blog post was written by Lindsey Walker, marketing manager for NEXGEN Asset Management. The best way an organization can drive productivity up and avoid downtime is by consistently monitoring the operational workflow and taking corrective action immediately. If you want to know if your mission-critical maintenance system is working smoothly to keep your operations up and running, you need to track the performance of your vital infrastructure assets in real-time. There are many factors to consider here—from manufacturing cycle time and equipment runtimes to capacity utilization and product quality. Fortunately, a computerized maintenance management system (CMMS) can do all of this and much more. It also tracks maintenance schedules, repairs, replacements and inventory levels in real-time so you can stay on top of your department’s efficiency ’round the clock and improvise wherever necessary. How does a CMMS work? A CMMS effectively turns your facility into a highly efficient and productive work area by automating everything from work order generation and preventive maintenance schedules to service inspections and purchase orders. A CMMS also eliminates paperwork and time-consuming activities, thereby freeing the staff to take on more important tasks and enabling them to be more productive and proactive. The real-time tracking ability of a CMMS significantly improves the operational efficiency of the maintenance management system for assets across locations. Is your current way of generating work and tracking work orders effective? Is there a method by which you can verify whether the work done was efficient and correct? Do you have a system that records the historical information of the maintenance work done on the system/equipment? How are your equipment and systems tracked for reporting and planning? Are your documents pertaining to operations, warranty information and equipment manuals stored electronically, in an organized manner? How do you keep a check on your staff to ensure that they are compliant and are using the right tools for the defined task? Are you going overboard with the inventory? 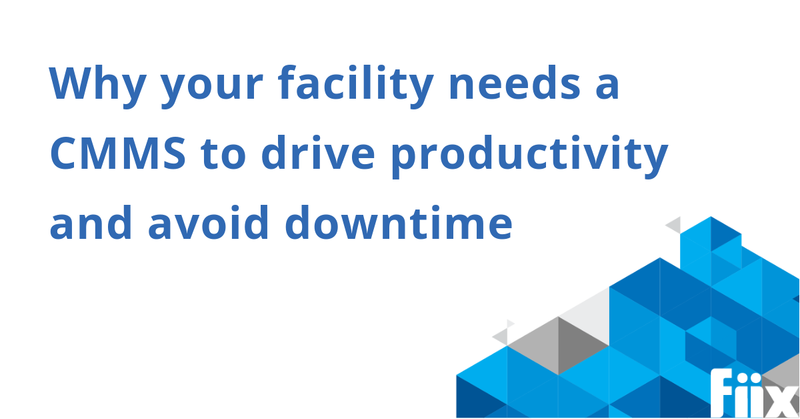 Do you have the manpower to manage unexpected downtime and last minute repairs? Does your chosen software offer module expansion if your infrastructure expands over a period of time? Depending on the nature and scope of your operations, can the product integrate with other integral systems within the facility such as the accounting system or the energy management system? Does the vendor have a good reputation in the market? Can they provide references for similar installations? How efficient is their customer service? How and at what cost are their product upgrades accomplished? There are a number of red flags and mishaps to be wary of when selecting a CMMS. The vendor and the product lack the adaptability to accommodate the growing needs of your organization. The right CMMS eventually gives a great return on investment by empowering organizations to reduce their repair costs, save tremendous troubleshooting time and effort, streamline asset management, accelerate maintenance activities and generate accurate asset repair and maintenance reports that facilitate informed decision making. Want to learn more about selecting a CMMS? Lindsey Walker is the marketing manager for NEXGEN Asset Management. She specializes in business development, project management, and asset management. She loves to read, and the books in her library are her prized possessions. Her passion for writing allows her to find time from her busy work schedule to share her knowledge of asset management, geographic information systems (GIS) and similar topics. She has been featured in a variety of leading publications in the past, such as Cerasis, SelectHub, Capterra and many others. To learn more about EAM and CMMS solutions, visit NEXGENAM.